Scarborough Chiropractic Clinics have a reputation for providing care of the highest quality in a caring and professional environment. We have a flexible approach aiming to find gentle and effective treatment to suit the needs of your body, your lifestyle and health goals. The ground floor clinic is located in Pavilion Square in Scarborough, near to the centre of town and the railway station. There is plenty of parking in the square. Our chiropractors have completed a Masters qualification in chiropractic, are members of the British Chiropractic Association (BCA) and registered with the General Chiropractic Council (GCC). 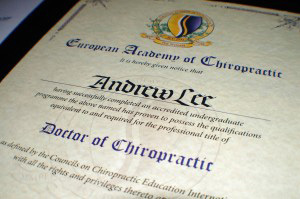 Chiropractic – so often the answer! Please complete the form below and our Chiropractor will read your symptoms and be in touch with FREE help and advice. © 2013 Scarborough Chiropractic. All rights reserved.